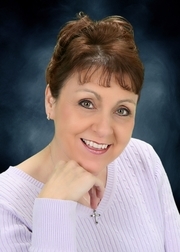 Maggie started as a Realtor back in January 2005. But her love for transforming homes started many years earlier when not everyone knew what "flipping houses" was all about. Her passion grew and she contributes her success to others answering questions and being willing to help them figure it all out. There's a lot to be said about running a business and what you find is important. It might be only looking at numbers or it might be someone looking out for you. Maggie found individual attention made all the difference when she first started buying homes and selling them. When she decided to become a Realtor, she had one important factor she kept close to her heart… giving back and helping others through their own remodeling experiences. Now you might say, “I'm not looking to flip a house. I just want to buy a home.” Maggie will help you in every step along the way. Whether it's your first home and you're unsure about the process or you're working on your rental portfolio. Her experiences and first-hand knowledge will go a long way to assure your success. Maggie credits much of her success to her repeat customers and their referrals. Getting started is always the hardest part. Need someone to talk to well… help is Just a Call Away With Maggie May. Call or text Maggie at 423-355-9637. Maggie is licensed in Tennessee.